Transform your walking into a safe and mindful practice that can help you move with balance, efficiency, and strength. ChiWalking is a different way of walking that can help you gain fitness and allow you to easily transition to running. Video analysis is included. 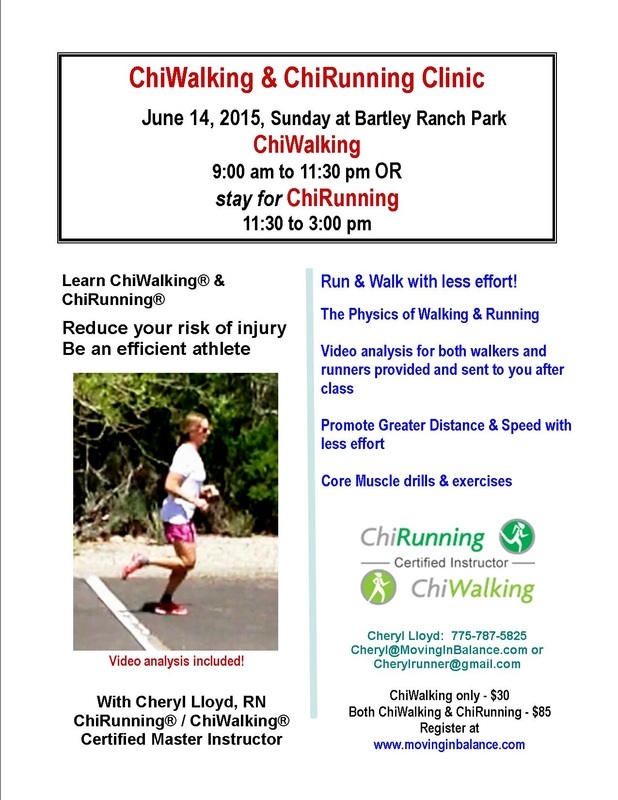 Cheryl will guide you through exercises and drills designed to leave you with a clear sense of what the ChiWalking technique feels like in your body. We will spend time alternating between demonstrations, fun exercises and technique drills...the nature of the morning will be relaxed, full and inspiring.